We hear a lot about the benefits of juicing, and the claims seem to make a lot of sense. Everyone knows that fruit and vegetables are good for you. 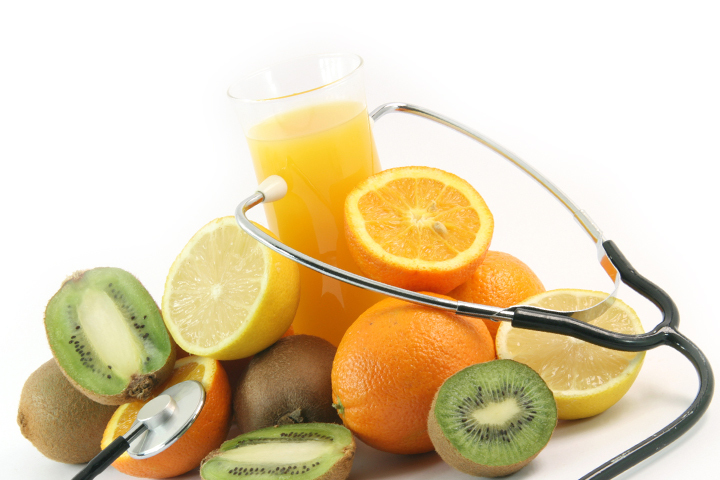 Advocates explain that juicing extracts and concentrates the vitamins and minerals. There is one important nutrient that juice advocates have ignored: fibre. When you juice fruit, you take away most of the fibre. A piece of fruit has, on average, 4 grams of fibre. In contrast, a glass of juice has only half a gram of fibre. 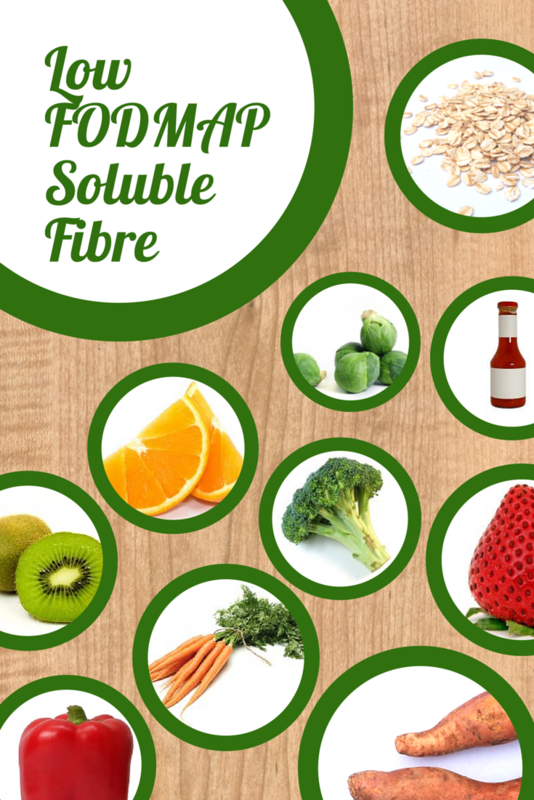 Fibre is vital to health. Not only does it mean regular bowels, but is also leads to lower risk of heart disease, obesity, diabetes and cancer. Fruit itself reduces the risk of diabetes and obesity, but fruit juice may in fact increase the risk. This is likely due to the fibre content of whole fruit vs juice. If you’re trying to make the best choice for your health, whole fruit, or even a smoothie, is a better option than low fibre fruit juice. 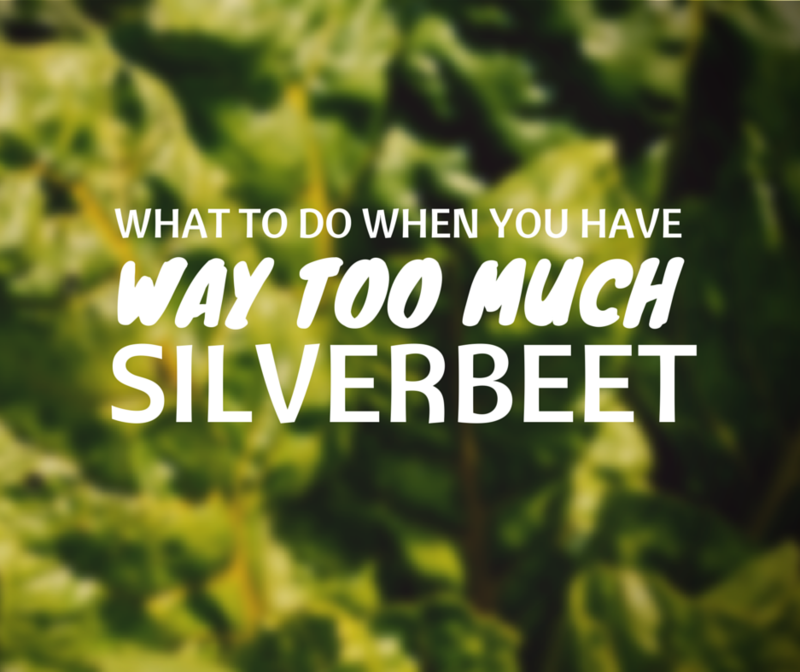 Yesterday I was at the shops and I saw an amazing special – $1.50 for a massive bunch of silverbeet. “My goodness!” I thought, “How cheap and nutritious!” So I bought some. Unfortunately today our fortnightly veggie box came and what is in it? Another huge bunch! This caused a little bit of panic. The fridge is now mostly silverbeet, and I don’t have any idea how to use it. So I set out to research how on earth to use it all up. Silverbeet is sometimes called swiss chard, or even just ‘spinach’. I have compiled a top 10 list in case anyone else falls into the same mess as me. Browse your favourite website for recipes. I like Taste. I also discovered that you could substitute silverbeet leaves for spinach. So here are taste’s recipes for spinach. Make a fresh salad – if you have young tender leaves of silverbeet, they make a nice salad. Try red onion, tomatoes, walnuts, and your choice of salad dressing. Make a warm salad. If you have tougher silverbeet, cooking it first is the way to go. These two look delicious: Ceres Orange Silverbeet Salad and Lemon Roasted Chickpea Silverbeet Salad (chickpeas are my favourite!). Indian curries go really well with silverbeet – palak paneer can be made with silverbeet instead of spinach. While I was on the SBS site I saw this frittata recipe. I’m craving frittata now! This fancy yoghurt and silverbeet dip looks delicious. The main difference between silverbeet and spinach is the stalks – apparently they make a nice crunchy addition to stir-fries, goulashes and the like. Definitely going to try it! Wrap salmon in it, apparently. Or the time-honoured favoured favourite – silverbeet and cheese triangles. Yum! How do I get enough iron? Iron deficiency is the most common deficiency in Australia. Hopefully this guide will give you a good idea how to get the iron you need in your diet. Red meat has a well-deserved reputation when it comes to iron – it is definitely very high in iron, and easily absorbed. Other meats, including poultry, pork and seafood also have easily absorbed iron, if not in quite the same amounts. 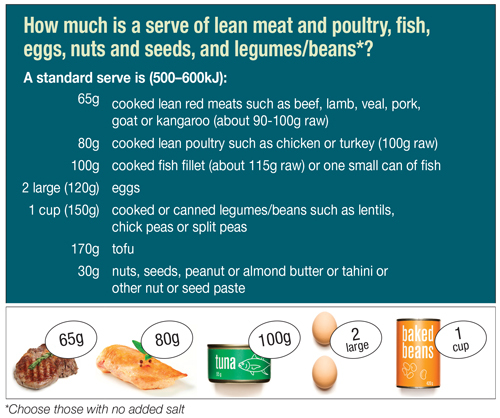 All the same, vegetarian meat alternatives, including eggs, nuts, seeds, tofu and legumes (chickpeas, baked beans, lentils etc) are excellent sources of iron too. Other good sources are the dark green leafy vegetables, such as kale, spinach and swiss chard. You’ll also find some foods are fortified with iron, such as bread, breakfast cereal, and even Milo. Vegetables, such as capsicum and tomatoes, dark green leafy, brassica (broccoli, cabbage, cauliflower, Brussel sprouts), peas and okra. Fruit and fruit juices, particularly citrus, such as oranges, and berries. Calcium can reduce your iron absorption. If you take a calcium supplement, then don’t take it with your iron foods. Have at least one dairy-free meal each day to maximise your absorption. Tea and coffee can also reduce iron absorption. Consider having your caffeine fix between meals, or just having one cup a day with your breakfast and not your lunch and dinner. The trend of ‘quitting sugar’ is very popular right now. It’s an 8 week diet program where you do not eat any sugar (or fructose, to be precise). After that, you can’t eat any sugar, but you can eat fruit. 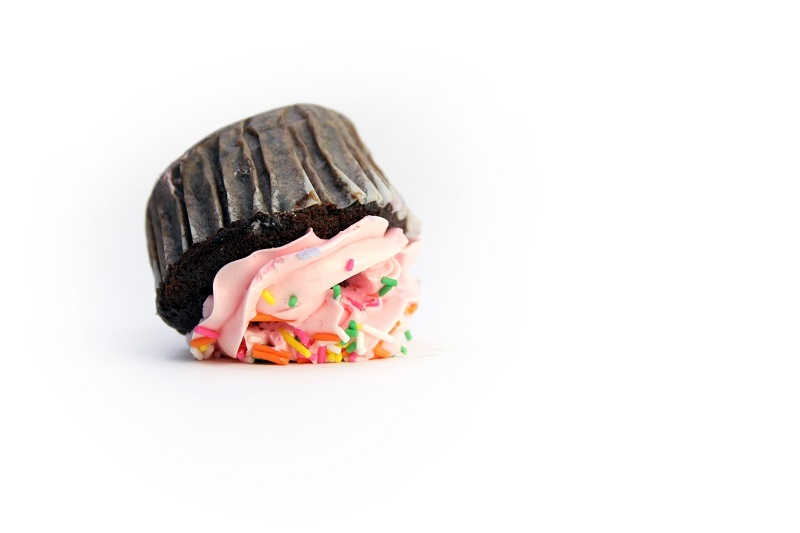 The diet treats sugar as an addictive, evil substance, to be avoided at all costs, somewhat like nicotine, or even heroin. The problem is, sugar isn’t an addictive drug. It’s delicious, sure, and too much of it isn’t good for your health, but it doesn’t need to be absolutely removed from your diet in order for you to be healthy. This all-or-nothing approach is unnecessarily restrictive. Such a restrictive diet is very difficult to follow – it doesn’t allow for any slip-ups, and because sugar is seen as evil, eating it seems like the end of the world. Not participating in the delicious parts of life, such as your favourite dessert, or your best friend’s birthday cake is very difficult. For many people, controlling their diet is a way of managing out of control feelings that they have in life. They channel all their negative emotions into how they feel about their diet – what they eat becomes a representation of their life, and through controlling their food, they feel they are controlling their life. Unfortunately, this means that when a very restrictive diet, such as quitting sugar, ‘fails’ – ie, sugar is eaten – those people feel like that because they’ve lost control over their diet, they’ve lost control over their life. As a way to deal with the stress of life, it feels like it works: until it doesn’t, and then they are overcome with feelings of guilt, failure, and anxiety. The best way to eat healthy is to eat from all the food groups in moderation. So enjoy treats, because food isn’t just about nutrition: it’s also about deliciousness, socialising and celebrating. Ugly Fruits and Vegetables are Beautiful on the Inside. In Australia, 45% – almost half – of all fruit and vegetables are not eaten. That’s a lot of waste – waste of the water, the fertiliser, the effort and people-power that grows the food. Last week I went to Sydney Uni’s event about food waste. It was a very inspiring , with academics, and the founders of Oz Harvest and the Youth Food Movement as speakers. All the speakers made the point that we’re pretty fussy about how our food looks, and this is a big factor in how much fruit and vegetable food waste there is. It’s terrible, especially considering these fruits and vegetables are just as nutritious. Why does so much ugly food not get eaten? In supermarkets, people choose the beautiful fruit and vegetables, and so the ugly fruit and vegetables are thrown out. This means that supermarkets ask farmers to only provide perfect looking fruit, and the ugly produce is thrown out before it reaches us. So what can WE do about the superficial buying of produce? I challenge you to buy the ugliest fruit and vegetables you can. This may mean shopping at the greengrocer instead of the supermarket, or venturing to your local farmers market. And then you could share it on social media – and inspire other to do the same! Or alternatively let your supermarket know that you want to buy ugly fruits and vegetables – consider writing to your local supermarket (Coles, Woolworths), or sharing the ‘inglorious fruit and vegetables’ video on their facebook pages (Coles’ Facebook, Woolworths’ Facebook) – showing them an example of how it’s done elsewhere! What else can we do about food waste? • You could also join the Youth Food Movement, who do a few excellent events each year. There are so many good things to do to make a difference! Feel free to share this post with a friend. 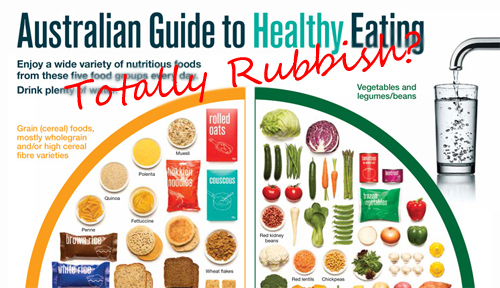 Australian Guide to Healthy Eating – Absolute Rubbish? Floating around Facebook today is Pete Evans’ poke against dietitians and conventional diet wisdom. Pete has created a picture of dietitians who are all about calorie balance, and who demonise overweight people as simply not exercising enough, who say ‘a calorie is a calorie’. He mentions low fat diets, implying that those who promote them promote coke, potatoes, and other high GI carbs. The Australian Guide to Healthy Eating is presented as horribly out-of-date, trailing miles behind Sweden who promote a high fat, low carbohydrate diet. If you look at the recommendations (http://bit.ly/1ygElVr) you’ll find that Sweden’s low carb recommendations are for weight loss, and their guidelines for the healthy population look rather like ours. The Australian Guide to Healthy Eating definitely does not promote a high carbohydrate diet, and it doesn’t ignore the difference in quality of calories. It promotes lots of fruit and veggies, and a moderate amount of unprocessed grains, lean meat and dairy. It promotes using oils that we know are healthy, with lots of evidence behind it – for example olive oil. Dietitians are a clever bunch – we read lots of scientific papers, and we really care about our patients, wanting to use all the science we know to help them meet their health goals. The Dietitians Association of Australia is indeed sponsored by some big food companies, but they’re not bombarding us with fake science and spin. If you’re looking at conflict of interest, you don’t want to ignore that Pete Evans is launching his own coconut oil brand, a key ingredient in the paleo diet. All up, current science says lots of fruit and veg, moderate amounts of unprocessed grains, lean meat and dairy, to include legumes and nuts, and use a moderate amount of fats from nuts, avocado, extra virgin olive oil, and other unsaturated oils. Can Raw Food Really Cure Cancer? You may have heard of the many amazing benefits of raw food – it cures cancer, causes you to lose weight, and even makes you more beautiful – the way we were meant to eat. You may have seen raw cakes, salads and juices appear in your favourite hipster cafe. The proponents of raw food have quite clever-sounding arguments about raw food: Do not heat food above 44 degrees celcius, for at this temperature the enzymes are destroyed. The enzymes help digestion, therefore cooking food makes it more difficult to digest. Nutrients, in particular vitamins and antioxidants are destroyed by heating – and why would you want that? The thing about food fads, is they always have elements of truth to them. It’s true that some nutrients are destroyed on heating, but other nutrients are made easier to digest when they’re heated. These include vitamin A, which is vital for eye health, and lycopene, an antioxidant found in tomatoes known to reduce your risk of cancer. The claim of enzymes is quite an interesting one. Some raw foodists claim the enzymes get absorbed by your body. Scientists know for a fact that this does not happen. More sensible claims are that these enzymes survive until the upper stomach and help to digest food, thereby saving your pancreas the effort. In fact, enzymes do not work for very long at all in the highly acidic environment of your stomach (Chemistry 101), and for goodness sake, let your pancreas do its job! One of the main claims of raw food is that it reduces your risk of cancer. Research in this area absolutely supports eating a high amount of fruit and vegetables to prevent cancer, but this is the same whether they are cooked or raw. Raw food diets are definitely high in fruit and vegetables, which would reduce your risk of cancer, so that’s a definite plus. Raw food can also be a way to carefully control eating, so make sure it’s not an excuse to restrict food unnecessarily. It also makes eating out very difficult, and dinner parties inevitably awkward. All up, there are some great parts of the raw food diet – the amount of fresh fruit and vegetables is inspiring, and there are many new ways to enjoy foods. I definitely would not advise against eating plenty of fresh food, but by restricting cooked food, you’ll be missing out on a variety of foods and nutrients. A wide variety of food and cooking techniques, is the best choice for health and enjoyment. Please feel free to share on facebook, or sign up to my newsletter so you don’t miss future myth-busting blogs.